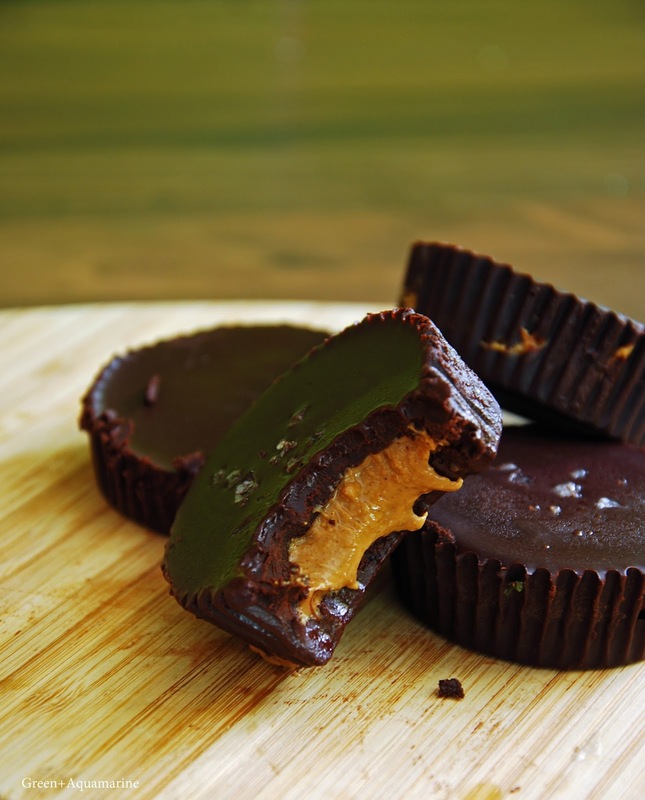 I don’t know about you, but I have a serious thing for peanut butter cups going on. However, they can be a little bit questionable in terms of health and quality… not that the odd indulgence is a bad thing at all! Still, for adding a little extra goodness to your day, these are an indulgent must. 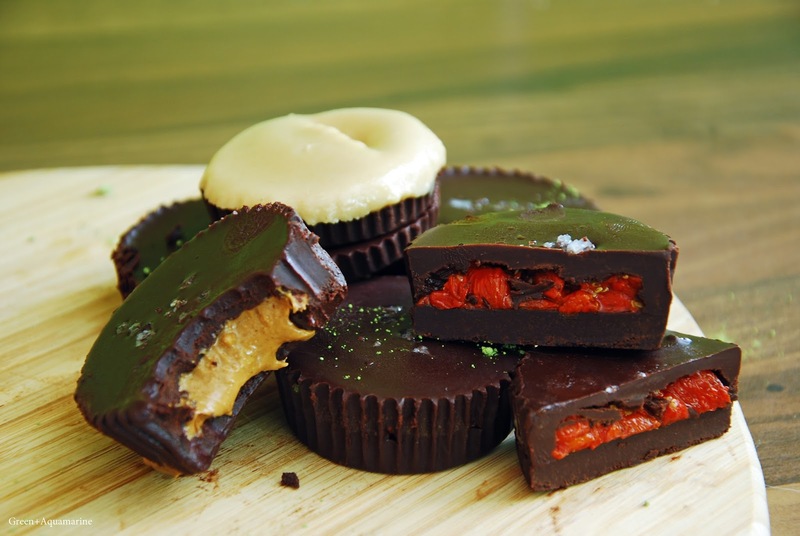 I used Pip and Nut’s cashew, cinnamon and honey butter for my nut butter cups and oh my -if you have a pot, donate a little to making these and thank me later! As for the rest of these, get experimenting and testing. I’ve used standard sized cupcake cases, but if you have a set of mini cases then go for it and make a batch of bite-sized pieces. First up, make the raw chocolate. Line a cupcake tin cake cases. Pop the cacao butter or coconut oil in a bowl over a saucepan of simmer water until melted. Whisk in the cacao and sweetener until smooth and glossy, and pour two tablespoons of the melted chocolate into each cake case. This should leave half the mixture left for the topping. If you’re making the tahini cups you should be able to make at least 9 cups as there is no top chocolate layer. Pop into the freezer to set for 40 minutes to an hour. Meanwhile, make your fillings. There’s no prep required for the nut butters, so just do your best not to demolish the jar whilst you’re waiting. For the goji berries, tip into a bowl with a tablespoon of sweetener and pour over enough hot water to cover the berries and allow to rehydrate. Add a squeeze of lemon for an extra bit of tanginess. Just before you take the chocolate out of the freezer, drain and blend up the goji berries. For the tahini, make in the same way you did the chocolate by melting the cacao butter or coconut oil and stirring in the tahini and sweetener. Remove the chocolate from the freezer. 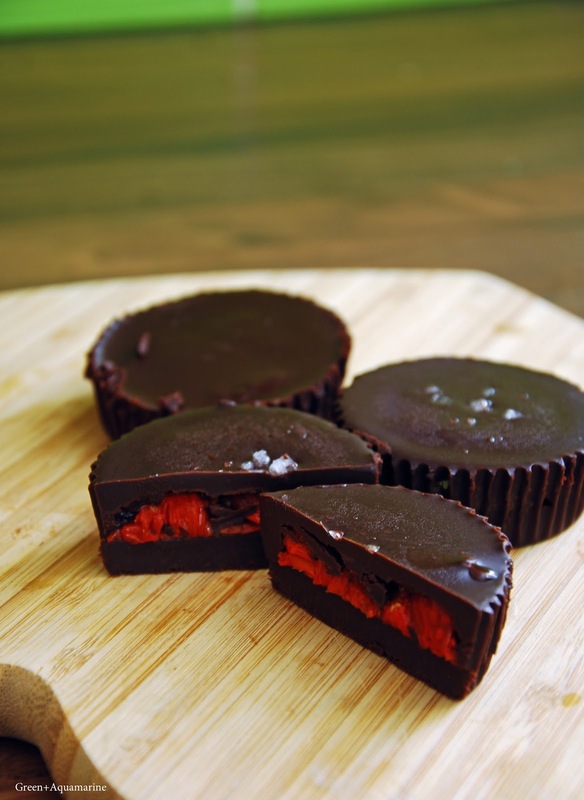 For the nut butter and goji berries, add a tablespoon of the filling to the chocolate, trying to stay a couple of mm away from the edge. Pour over the remaining chocolate -again, about two tablespoons per cup. For the tahini, simply add on top of the chocolate without adding another chocolate layer. If you do have leftover chocolate, swirl it through the tahini. Then, pop all the chocolates back into the freezer for an hour to set, removing after 20 minutes to add a pinch of sea salt on to each. When set, keep the dessert cups in the fridge. Please note, the tahini cups made with coconut oil will come out softer than when made with cacao, but I personally really like this. Liked these recipes? 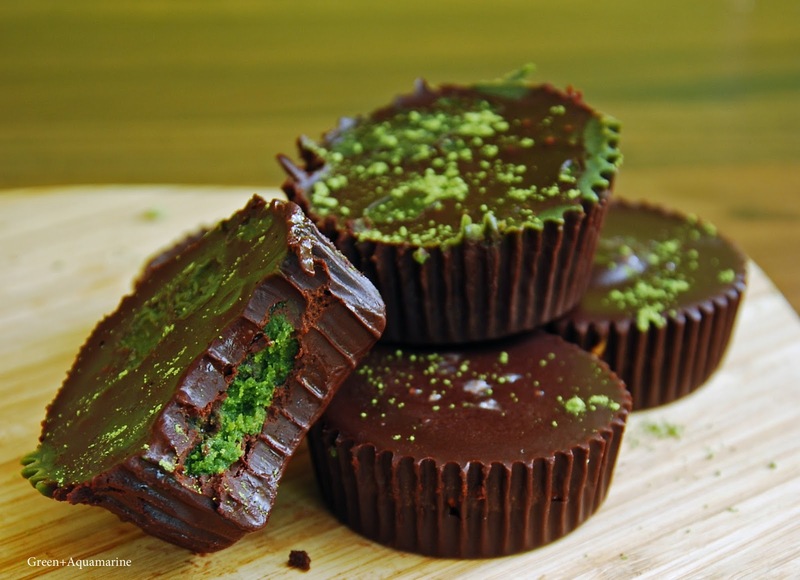 You can now also get my recipe for lime matcha butter cups as shown in the photo above, by heading to the Filmore and Union blog!